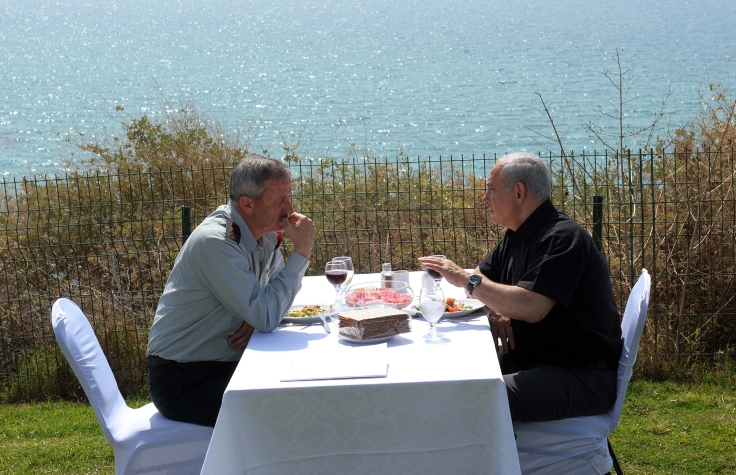 Once upon a time, not so very long ago, Benjamin Netanyahu used to think very highly of Benny Gantz. How do we know? Because he said so. The prime minister, for instance, once hailed Gantz as an “excellent officer” who played a central role in the decision-making process at the highest levels and to whom the Israeli people owed a great deal of gratitude. But that’s ancient history. February 2011, to be specific. Now that the tall, soft-spoken ex-army chief — “an American might imagine him living in a log cabin,” as MK Michael Oren once described him — has ended his 38-year military career and entered the political trenches, he has become a “leftist” in the eyes of Netanyahu and his Likud party. Indeed, a “weak leftist,” according to an election campaign video the prime minister shared on social media this week. 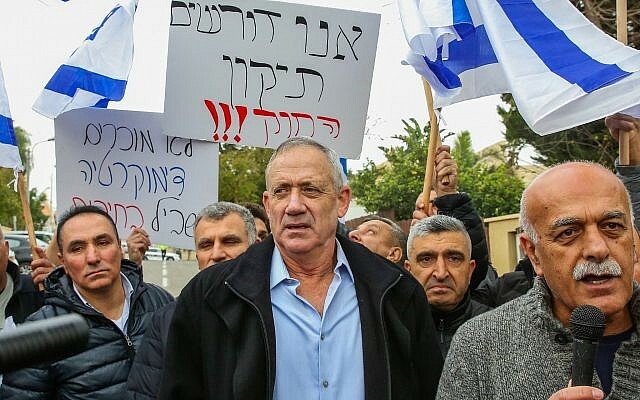 Netanyahu starting attacking Gantz as a leftist as soon as it emerged that he was running in the April 9 Knesset election and shaping up to become a genuine challenge to his premiership. “I don’t get involved in how the left divides its votes,” he told reporters on December 28, the day after Gantz registered his Israel Resilience party. “He is an experienced commander and an excellent officer. 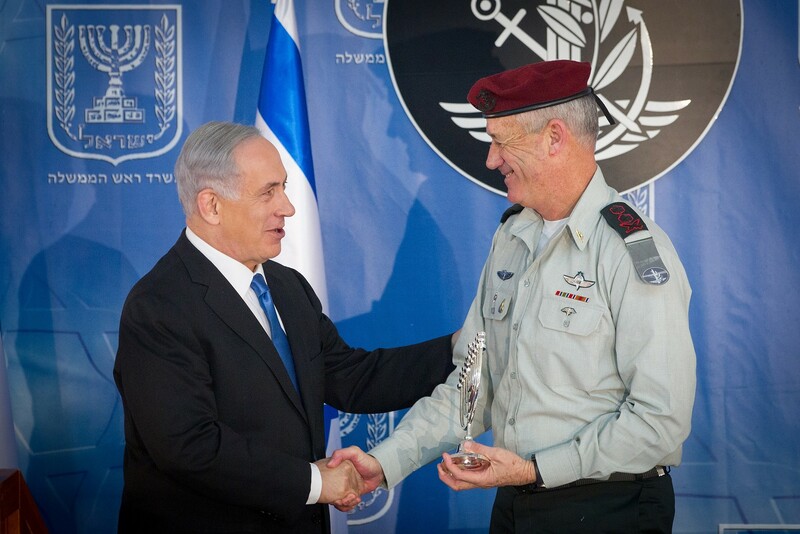 He has all the qualities and all the necessary experience to be an excellent IDF chief of staff,” Netanyahu said on February 6, 2011, a few days before the cabinet unanimously approved Gantz’s appointment. At the time, the prime minister did not mention the case of Madhat Yousef, a Druze Border Police officer killed by a Palestinian sniper while defending the Joseph’s Tomb compound in Nablus in October 2000, at the beginning of the Second Intifada. Gantz, a brigadier general at the time, was the commander of the IDF’s West Bank division. 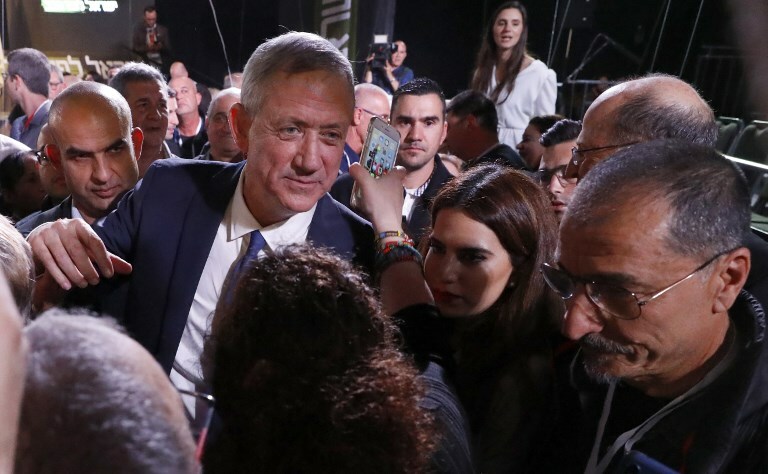 In Likud and other parties threatened by Gantz’s fast-rising poll numbers, several politicians have also attacked his record as the IDF’s 20th chief of staff, with increasing ferocity as his political stature has risen. Education Minister Naftali Bennett, who co-heads the New Right party, has focused his criticism on Gantz’s performance during Operation Protective Edge, the 50-day war with Hamas in Gaza in 2014. In a statement this week, New Right called Gantz and his new political partner, the former IDF chief Moshe Ya’alon who was (Likud) defense minister during that war, “the architects of the stalemate” with Hamas. “The last time [Ya’alon] and Gantz worked together it ended with 30 terror tunnels [from Gaza] in the south,” the statement read. 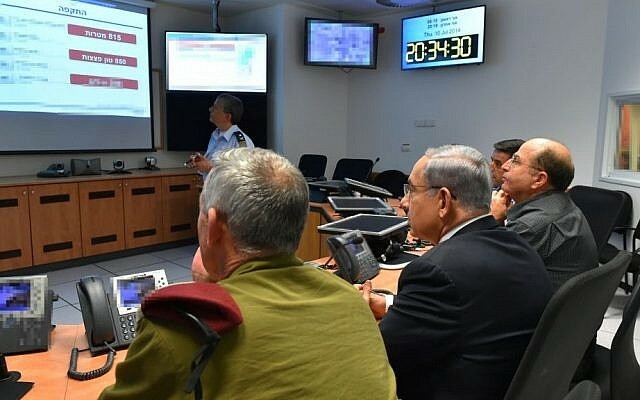 Likud itself has trodden more carefully with criticism of Gantz’s wartime performance, cognizant of the fact that the commander-in-chief, ultimately responsible for that happened on the battlefield, was Netanyahu. Indeed, the prime minister branded Protective Edge a “major military achievement,” which makes it somewhat difficult for his party to now rail against the chief of staff’s handling of the conflict without sounding especially hypocritical. Since Gantz entered politics, Netanyahu has remained mum on the lieutenant general’s performance during Operation Protective Edge. Still, Tourism Minister Yariv Levin (Likud) vouchsafed to Army Radio on Wednesday that Gantz was, overall, a “terrible” chief of staff, who failed to present the political echelon with the right military options. On February 12, 2015 — four days before Gantz officially left the army — Netanyahu lavished praise on his outgoing army chief. “We were active in two operations on the Gaza front and in other sectors, including many things that the public is not aware of. I would like to thank you for this excellent service,” he said. As a goodbye present, Netanyahu handed Gantz a copy of “The Letters of Jonathan Netanyahu,” by his late brother. “With great appreciation for your contribution to the security of Israel and for your leadership during a very challenging time,” Netanyahu wrote in his dedication of the book. Three days later, at another farewell ceremony, Netanyahu delivered a lengthy speech [Hebrew link] in praise of Gantz, focusing on his pleasant demeanor but also his professionalism. “I can testify from my point of view, as prime minister, that I always knew that I have by my side a high-quality, ethical, responsible, balanced and thoughtful chief of staff,” he enthused. 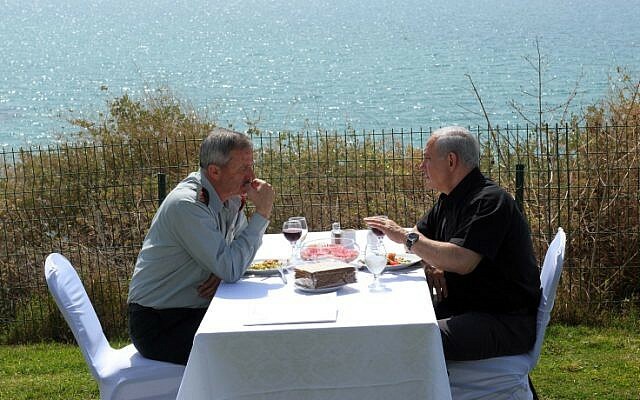 “We worked together in harmony, and I believe also with mutual respect,” Netanyahu added, stressing that Gantz played “a central role” in the decision-making process regarding crucial questions of Israel’s security. Gantz never shied away from taking responsibility and never got too overwhelmed as not to take the right decision, Netanyahu noted. That was a little less than four years ago. But if a week is a long time in politics, four years is an eternity.